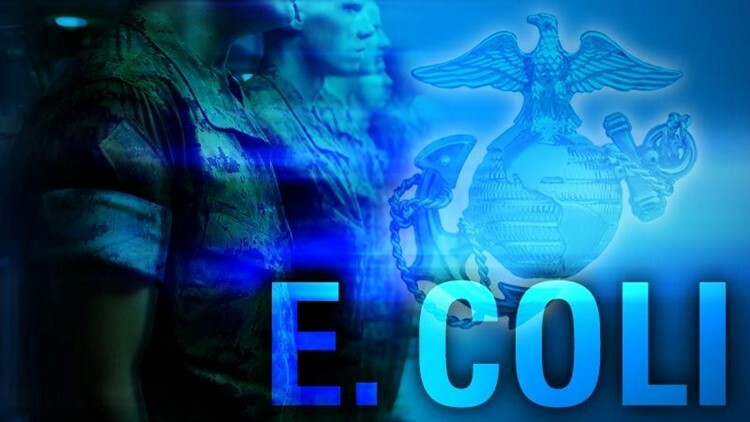 SAN DIEGO (CNS) - Marine Corps officials Wednesday announced more than two dozen more cases of E. coli infection at Marine Corps Recruit Depot San Diego and Camp Pendleton amid a week-old outbreak of diarrheal illnesses at the military installations. The 26 new diagnoses bring the number of personnel suffering from the ailments at the two bases to about 215, down from the estimate of 300 announced Monday, according to MCRD public affairs. The reason for the reduced tally of cases was not immediately clear. Among the patients, 12 have been admitted to an off-base hospital, and the remainder are being treated at military medical facilities, according to USMC officials. "The command's full effort is focused on caring for those recruits who are affected, ensuring we limit any spread of the illness (while) identifying the source of the infection," said Brig. Gen. William Jurney, commanding general of MCRD San Diego and the Western Recruiting Region. -- Dissemination of guidance on identifying symptoms to allow for proactive and prompt treatment for potential patients. Family members will be contacted by the command if a recruit's graduation date changes due to missed training resulting from sickness, and every effort will be made to allow patients to complete missed activities with their original training unit in order to remain on track for their planned graduation date, base officials said.